Tamper proof system detects when weight is applied to the top of the door and has a variable alarmed delay setting between 5 and 30 seconds. The Door Top Alarm connects via mains power and is compatible with most staff attack systems. It can alert staff via audible alarm, visible light, staff indicator panel and via the pager or main computer. If the top of the alarm is pressed nothing will happen until the programmed delay setting in the electronic box is activated. It has a three tiered LED system on the door top alarm which is mirrored on the electronic body and optionally on nurse stations. LED lighting shows it working without setting the alarm off, helping with risk assessment period checks. LED is not visible to patients. An inspection magnet is used to aid installation and carry out risk assessments. The electronic box is housed in ceilings/ lofts and connects to the mains power and staff attack system. Power transfer to the door goes via Intastop’s Electrical Transfer Hinge which ensures all cabling and electronics are concealed. Performance tested to 1.25 million cycles; it has a removable option, where the hinge is designed to be installed in two sections. 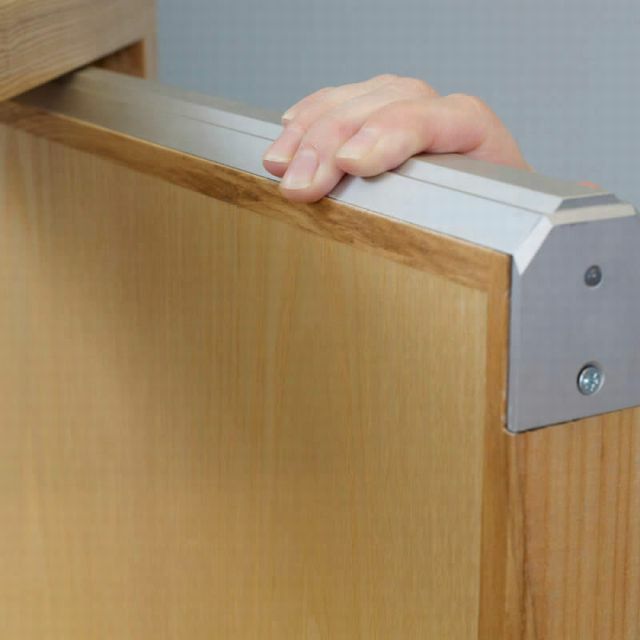 This allows the current carrying cable to be serviced or replaced without removing the door from the frame. Fire tested to BS 476-20 and -22 for 30 minutes. Suitable for refurbishment and new build. Suitable for 44 and 54 mm door thicknesses. Helps prevent suicide at the top of doors. DTA-ECB – Door Top Alarm Electrical Control Box. DTA-MAGNET – Door Top Alarm Inspection Magnet. HAL-DC-SAA - Anti-Ligature Aluminium Domed Cap. HFM-EM - Full Mortice Electrical Transfer Hinge with smoke seal - four wire. HDS-01-EM Double Swing Electrical Transfer Hinge with smoke seal - four wire. Colour coating to any RAL number and wood effect options also available; consult manufacturer for details. To suit 44 mm width door. To suit 54 mm width door.